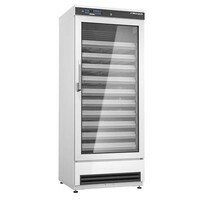 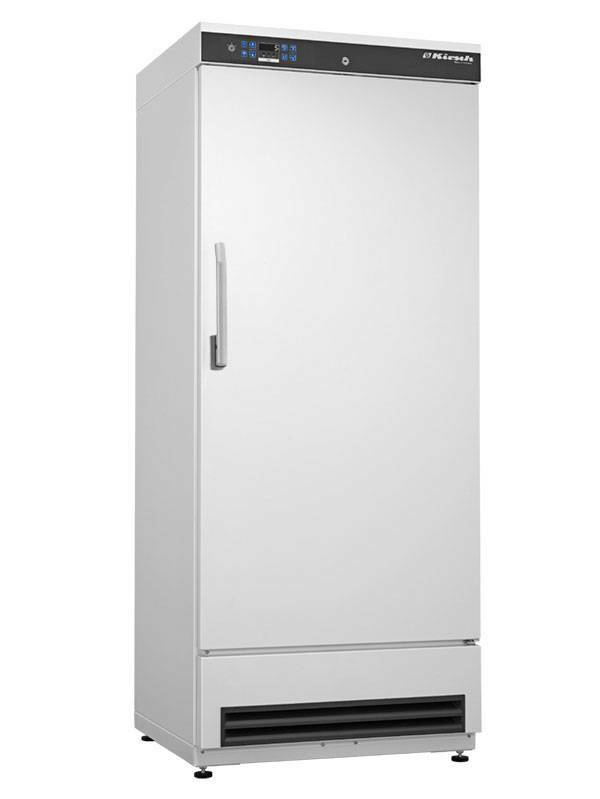 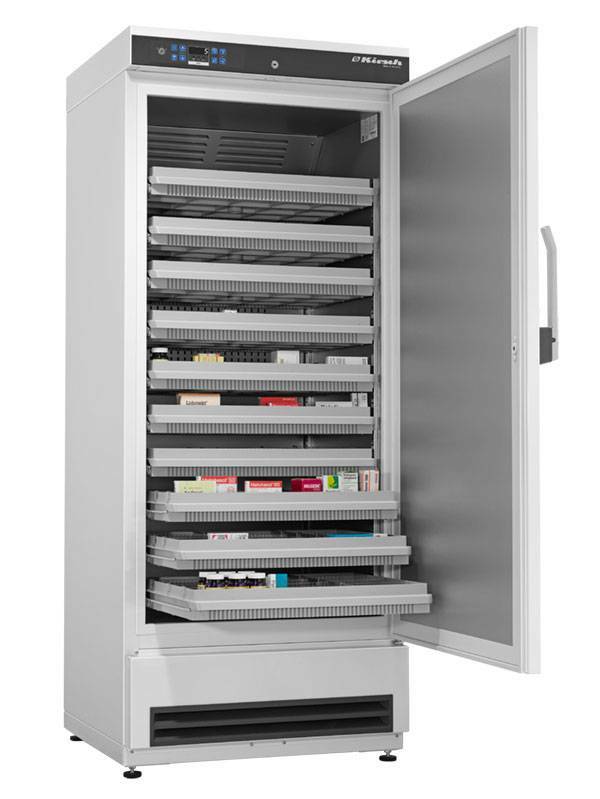 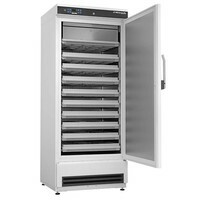 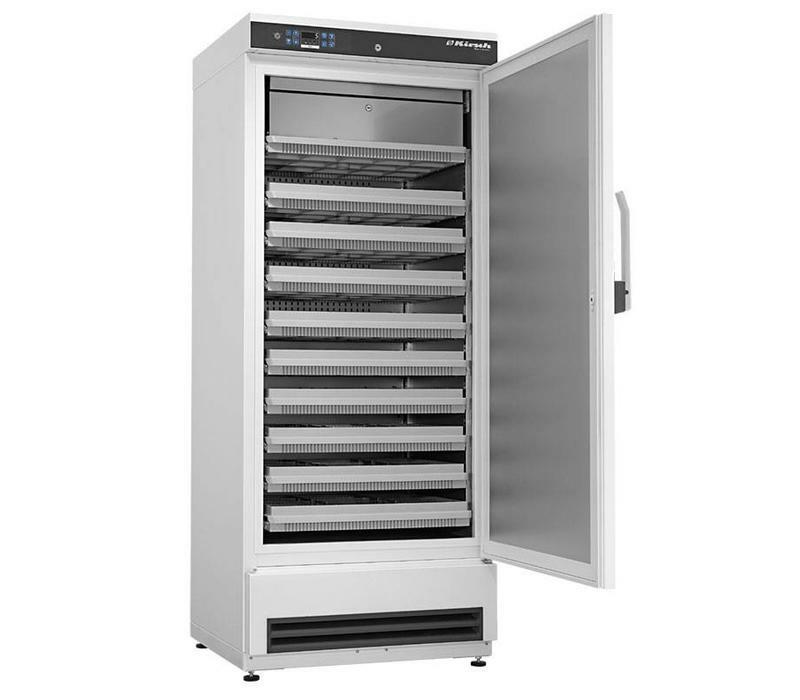 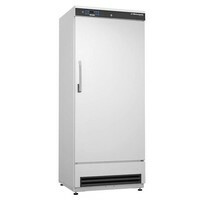 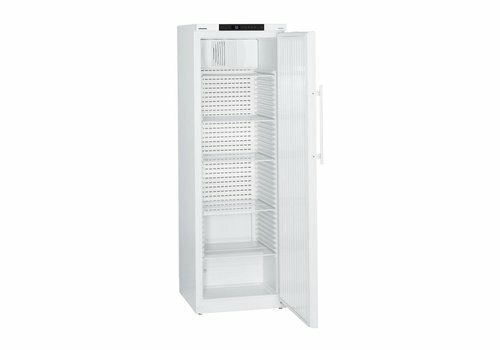 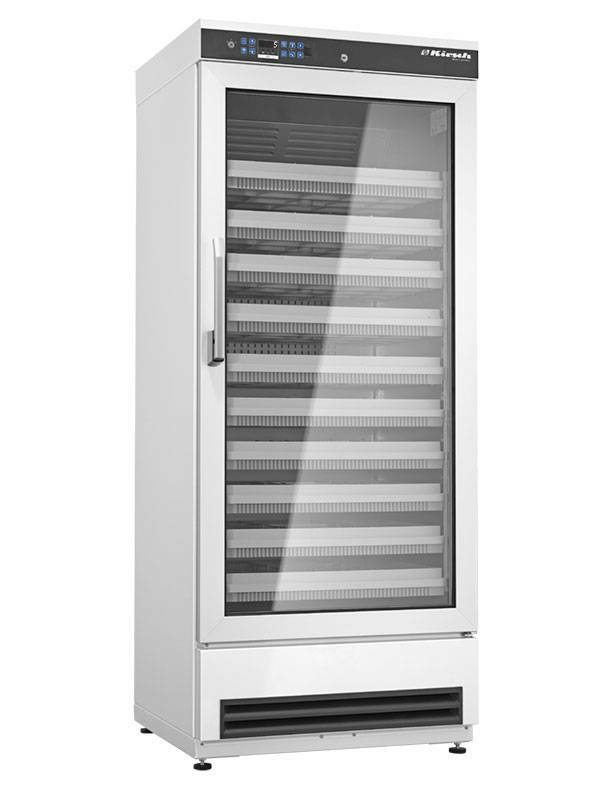 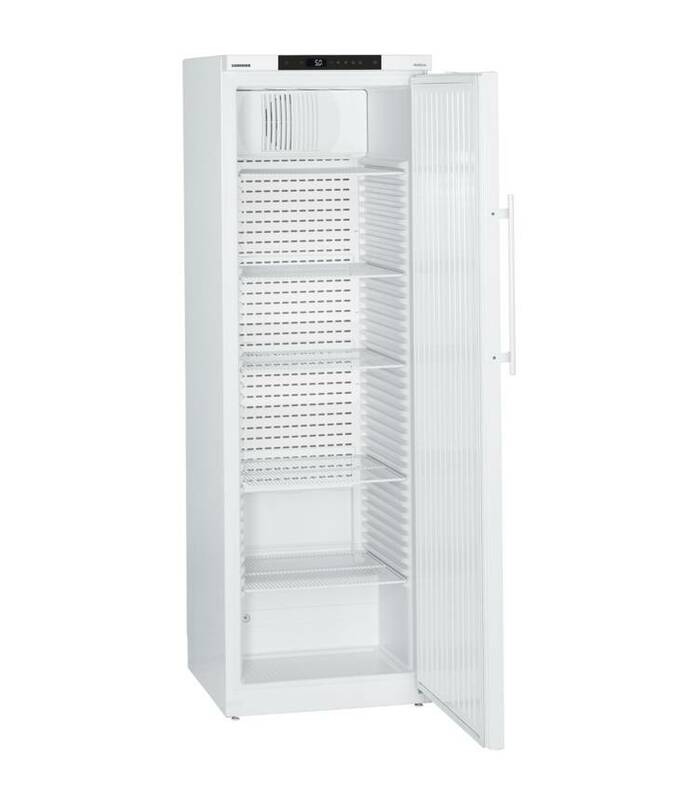 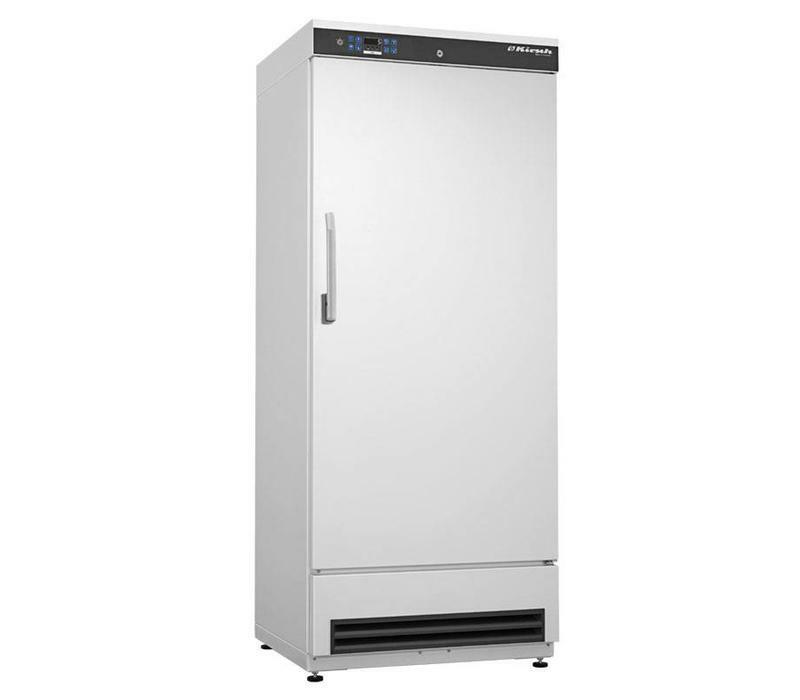 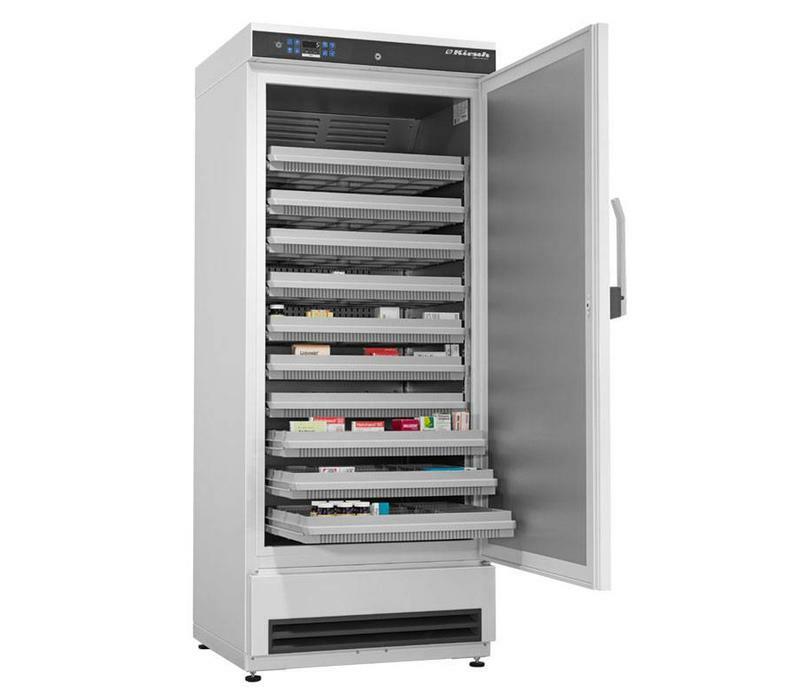 This pharmaceutical fridge features 10 vertically adjustable drawers made of plastic as standard equipment. 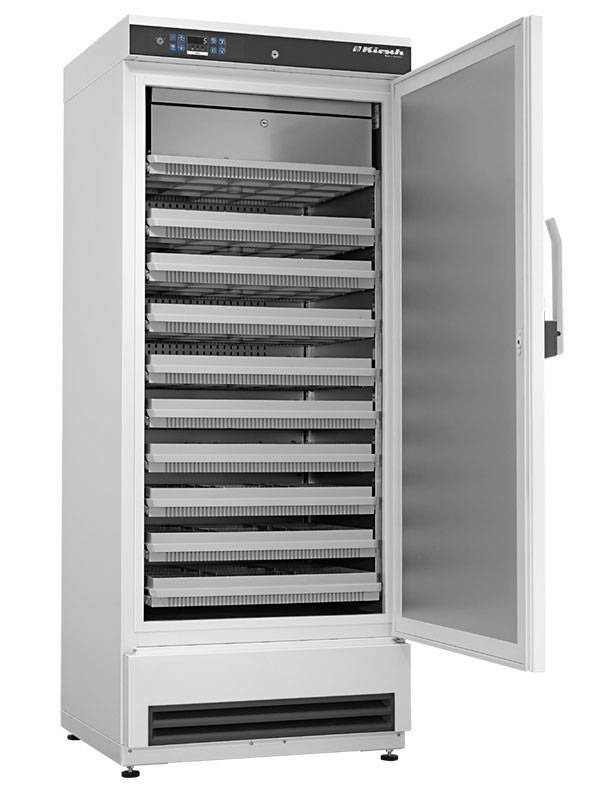 The drawers rest on telescopic runners and have a locking element. 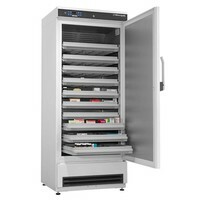 Each drawer has 2 adjustable length dividers and 12 adjustable cross dividers.